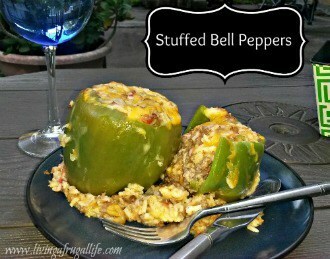 I LOVE ground beef stuffed bell peppers. I didn’t know I loved them until a couple years ago when I decided I needed to try some new things, and my mom had a recipe for them. 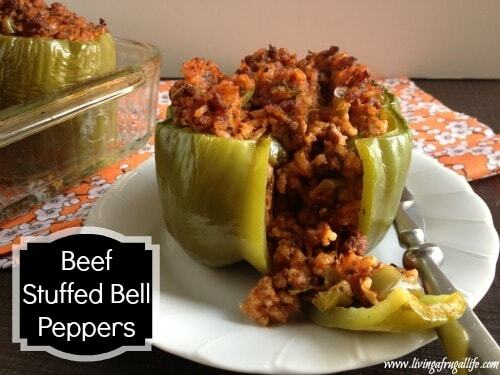 I love how you don’t just have to have stuffed bell peppers with ground beef and rice, though. 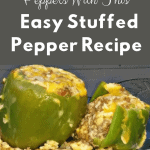 There are many varieties of stuffed green bell peppers you can try. 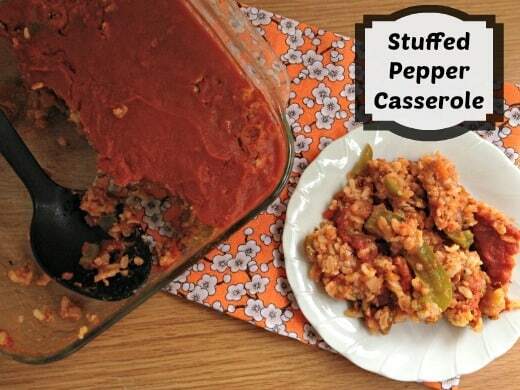 You may want to check out this stuffed pepper casserole! 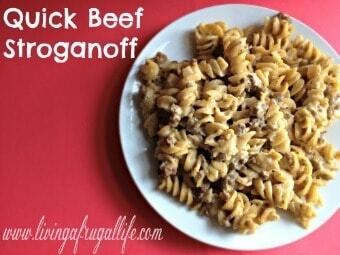 You may also want to check out this beef stroganoff recipe! 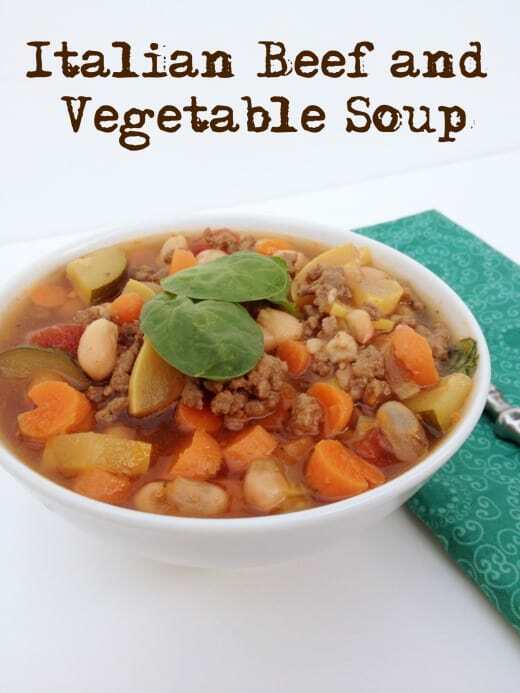 Super fast and your family will love it! 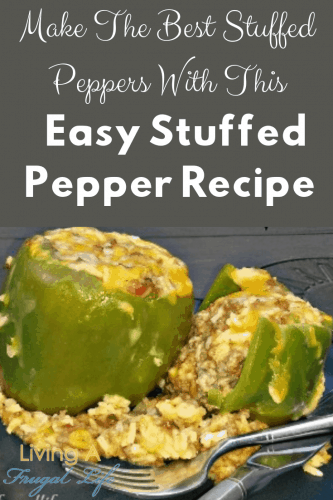 Like the beef stroganoff, this beef stuffed bell peppers recipe is another very simple recipe and takes less than an hour to make so it is a great one to have in your weeknight meals. I also love that it is made with simple ingredients like tomato sauce you can get on sale! And best of all, it cooks with water in my pyrex dish. No fancy sauce to make. Just whole ingredients in the pepper! Cut off tops of peppers and chop the edible parts of the tops. Add rice and tomato sauce and stir well. Arrange peppers in baking dish and add water until about and ⅓ inch thick. 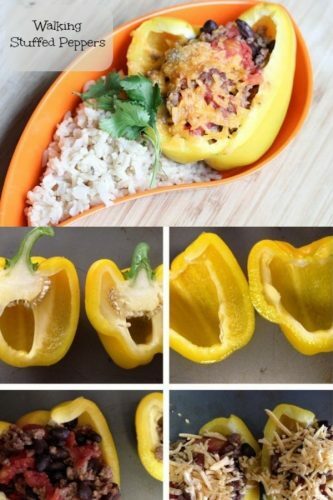 Stuff peppers with rice and meat mixture until filling forms a slight dome above the edge of the pepper. 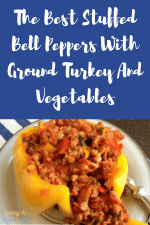 What do you like in your stuffed bell peppers with ground beef? 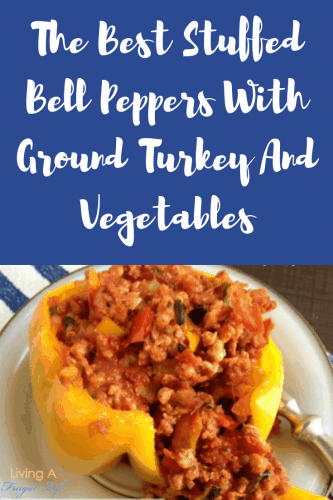 These bell peppers are great. I made my rice in the morning. Prepared the rest at dinner. Don’t leave out the garlic. It was not in the directions. If it is, I just did not see it. Had enough to fill 6 peppers. Filling was good by itself. Five stars! Thank you for your comment and 5 stars!!! 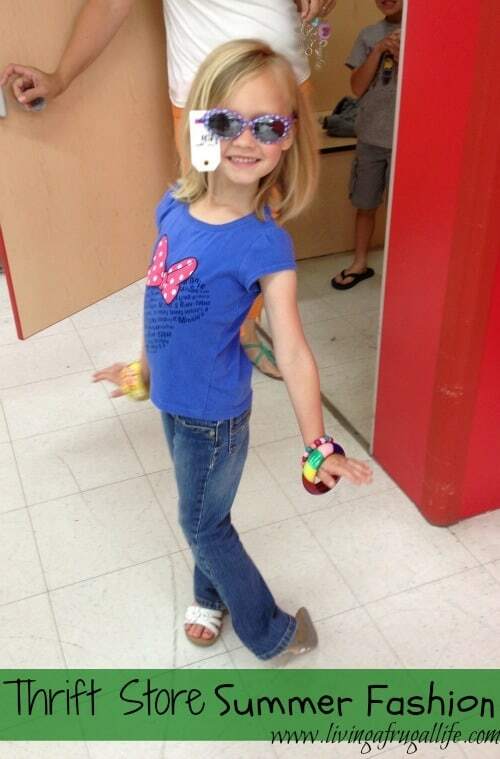 So glad you liked it! I checked and your right I did not include the garlic in the instructions. I fixed it so it should be right now! Thank you for bringing that to my attention! 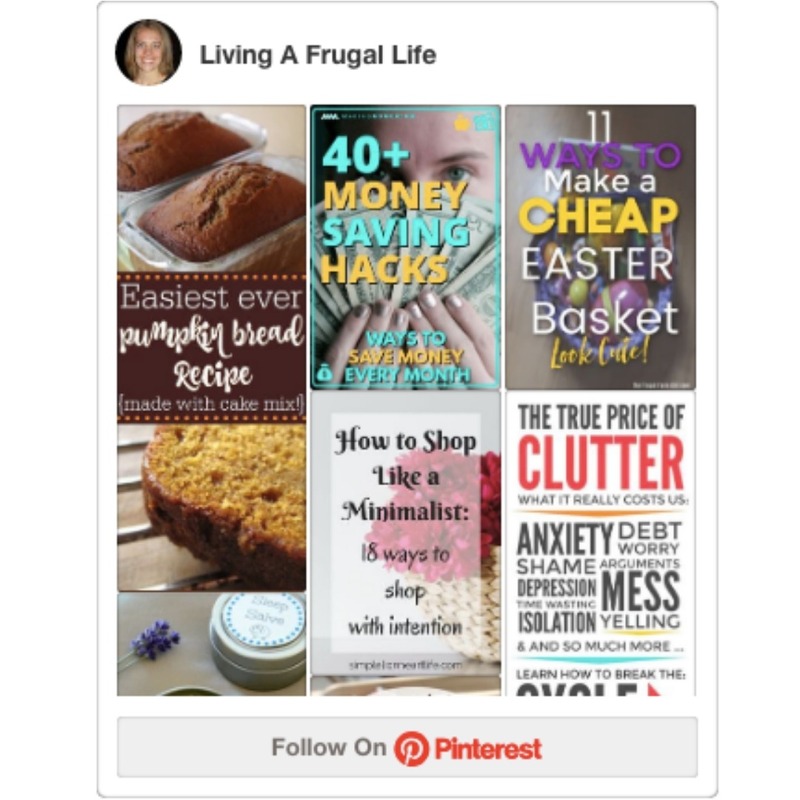 Hope you try more of our recipes here! I’ve never made these before. Just curious…Why do you have to add water to the baking dish? Thank you for your comment. The water keeps the oven humid so the peppers are soft and don’t get a crust on them.